Kindly confirm if there are any rooms (for two adults) with air conditioning at Lokuthula? Does Lokuthula have its own restaurant or do they form part of VFSL? The Lokuthula B&B lodges have air-conditioning only in the main bedroom, not elsewhere in the lodge which is quite open. Lokuthula does have it's own restaurant and pool area but you can also use the facilities at VFSL and if you choose the B&B option then you will go for breakfast at the VFSL complex. I saw a group of small, bushy tailed animals during my stay. What were they? What animals are there besides zebras, crocodiles, giraffes, impalas, and monkeys? It sounds like those are most likely Banded Mongeese. From the Zambian border post to the Zimbabwe border post across the bridge is about 1.8kms. Then from the Zimbabwe border post to The Victoria falls Hotel by road is about 1.5kms. There is a slightly shorter footpath. What is the name of mosquitto repellent you supply in the small container in the room? Comments for What is the name of mosquitto repellent you supply in the small container in the room? The distance is not great, around 5 to 6kms but because of the border crossing the time varies. In most circumstances it takes less than 1 hour and can be as little as 30minutes. Depends on the time of the day and how busy the border post is. If you have to buy any visa's it will also take a bit longer. I am Zimbabwean and I'm planning a week's holiday in Zim with my English family - 28 March to 03 April 2015. Our party consists of myself, my daughter and husband, and her 3 children aged 17, 13 and 12. Our budget is limited, so we need some suggestions and recommendations, please, on lower cost accommodation. We are happy to make our own travel arrangements, but we'd prefer a package which includes return flights from Joburg and 3 or 4 nights in a budget hotel or self-catering accommodation at Victoria Falls - somewhere clean and comfortable and secure, with a swimming pool if possible. We also hope to spend a couple of days at Matopos before returning to Joburg - if this is something you are able to advise on? Thank you for contacting us. We are delighted to see that you are bringing your English family back to see Zimbabwe. With regards to accommodation, without doubt your cheapest option is going to be staying in a self-catering lodge where you are paying for the whole lodge as opposed to a per person rate. Hotel rooms here are expensive even the cheaper hotels. Self-catering options: – best is Lokuthula lodge, these are very reasonably priced and can sleep 6 or 8 people per lodge. Then there is also Rest Camp, slightly cheaper than Lokuthula but not quite as nice, but still perfectly acceptable. There are a couple of houses in the Falls that the owners rent out, and you could contact us for details on these. With staying in the self-catering lodges or house it is probably best to book your accommodation and flights separately not on a package. Having said that occasionally there are packages that do include Lokuthula lodge again if you can send us a booking enquiry form we will look into this for you and get you quote. Matopos is a difficult one to get to. I am presuming that you don’t have a car here, if you do then it is easy enough to drive there, the roads are still good enough and the distance is about 480kms. Roads transfers can be arranged but these will cost in the region of $690 for the whole vehicle one way. Alternative is to catch the Pathfinder bus from Vic Falls to Bulawayo and then get the camp you will be staying at to collect you from Bulawayo. Pathfinder is quite cheap about $30 per person one way. Another alternative would be to fly JHB to VF then fly onto Bulawayo and directly out of Bulawayo back to JHB. You would have to weigh up the costs of flying this route. I would recommend staying at Amalinda Lodge in Matopos. Do the 2-bed rondavel chalets have electric plugs for charging batteries, laptops, etc., etc. ? I am really not 100% sure, but I would presume so seeing that they are electrified. The central area by the pool and bar certainly has plug sockets for charging. Are there any packages available for people from Bulawayo? If not, then am looking for accommodation of one room with two single beds. Single mum and 9 year old son needs to be very reasonble as we're on a tight shoestring. Will have no transport when we get there (will have to take a bus or find some other way to get to the Falls.) My son has never seen the Falls, we've had an exhausting year and, somehow, I really want to be able to give him this trip - around Christmas (praying for a miracle) or around my son's birthday, 16th December. What can you suggest, please? Unfortunately there are no packages that one can get that I know of from Bulawayo to Victoria Falls. The cheapest option I can suggest for you is that you catch the pathfinder bus which leaves Bulawayo every lunchtime and gets to Victoria Falls at about 7pm. The cost is $30 for adults and $20 for children each way. It is a very good service. For budget accommodation I would recommend Adventure lodge $88 per room per night or the N1 lodge at $60 per room per night. The N1 lodge is right in town so you would not need transport. Thank you for your question. These hotels are quite different although they are very close to each other, literally across the road from one another. They are the two closest hotels to the Victoria Falls entrance and it is just a couple of minutes walk. Kingdom is a big hotel with about 250 rooms, I would say it is more of a family hotel, with big swimming pools, several restaurants and a casino as well. Big groups normally stay here. Ilala is much more of a boutique hotel, upmarket and I would say more suited to mature couples. I think it only has about 20 rooms, maybe a few more. The Palm restaurant at Ilala has an al a carte menu and is renowned for top quality food. Kingdom has buffet meals in the white water restaurant (I think quite expensive for what you get) and then it also has a pizza restaurant and a steak house. So much more casual than Ilala. I would recommend either of them as they are both good hotels but just suited to different preferences and budget. Ilala is more expensive than Kindgom because of the reasons outlined above. I hope that helps you in making a desicion. Please let me know if you have any more queries. If you need any help in making a booking at one of these places, please conatct us we can normally get quite good rates with either of these places. My friend and I want to see Victoria falls. Since the best view (we were told) is from Zimbabwe's side, we will go to Zimbabwe. What is the most cost effective way to get there via JHB? And where can we stay? We just need about 3 days in Zim. Nothing expensive, just comfortable. Do you know of a package we can take? We will go end of October 2013. Comments for where to stay? The best way to get to Vic Falls from Joburg would be to book a package that includes return flights - there are a number of these and depending on the dates and the flights that are still available can be reasonable - but I would suggest that you send us a contact us form with the information and we can work together with you on what works best for you. Air Zimbabwe has flight three times a week on Fridays, Sundays and Wednesdays and they are very reasonable - so if these days work for you - I would suggest looking at these with maybe staying at the Kingdom Hotel. But as I said all depends on the dates - will look out for the contact us and assist you from there. 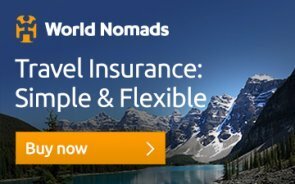 Please see my email to you which has outlined various accommodation options and prices for Victoria Falls, Chobe and the Delta. I am travelling to Vic Falls with my sister and her husband in january next year. We were hoping to stay in the chalets in the national park as my parents stayed there on a trip in their 20s. Is it possible to stay in the national Park for several days? do you need a car with you? What sort of activities are there in the park and is it far from the town centre? Yes it is possible to stay in the National parks chalets for as many days as you like. They are quite difficult to book and pay for as this has to be done through the central reservations in Harare and money has to be sent to their bank account. I can give you details of who to contact if you need. I would say that yes you do need a car, the chalets are about 6 kms from the town center and there is very little to do there apart from enjoy being in the bush. The main activity would be relaxing, game viewing and birdwatching. There is no public transport between the lodges and town. You could probably walk up to the A Zambezi hotel and catch one of their transfers into town. It all depends really on what you are trying to achieve, but in my view the chalets are suited more suited to self drive travellers, who are a bit experienced in the African bush and want to do their own games drives etc around the Park. Then these are great. We have this page on the Zambezi National Park which will probably be useful to you in your research. I'm planning a trip in May and need accommodation for one night (for two people sharing) in Plumtree. I have searched everywhere but found no reference to any accommodation establishment in this town. I'm willing to bunk down in the school hostel...only thing is I've not found anyone that can tell me what the telephone or e-mail address is of the school! I'd really appreciate some help in this regard. Comments for Accommodation in Plumtree? There is a report at Lonely Planet indicating there is a hotel in Plumtree and maybe two lodges some three km west of the town (on the road to Botswana). If you or anyone else has any further information on these lodges, I'd be pleased to receive it as I plan to stop-over in or near Plumtree in January 2014. Not sure I can help with this one. I drove through plumtree last week and although I was not really looking I certainly did not see any accommodation available. It is a very small place and any decent accommodation establishment just wouldn't survive. I also cant find any numbers for plumtree school. Do you have to stay there? byo is only 100km away. Just outside Figtree there is a new garage and supermarket and there is possibly accommodation there but I just cant promise. This is the accommodation we always recommend in byo. Click on this link Granite Park. for full details. I have returned from the Elephant Hills Hotel on Wednesday, and I left a bag with medication and other medical equipment in it there. I need a contact number so I can ask if it has been found and to arrange return of my goods to Cape Town SA. landing at Livingston airport how far to victoria falls hotel, do we need a visa we from south africa. If you are on SA passports you do not need a visa for Zambia or Zimbabwe. WERE TO STAY IN VIC FALLS....?? 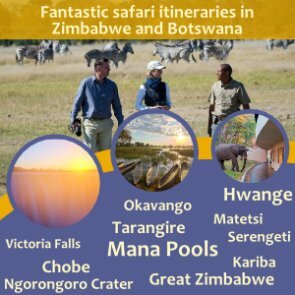 Hi, FROM YOUR WEBSITE I GATHERED THE VIC FALLS HOTEL AND THE KINGDOM HOTEL ARE THE CLOSEST TO THE FALLS, IS THIS CORRECT ?. WOULD LIKE TO HAVE A VIC FALLS EXPERIENCE, IN THE TOWN, HOW CLOSE ARE THE HOTELS MENTIONED TO THE FALLS ITSELF ?. NEVER BEEN THERE, LAST TIME I WAS IN ZIM WAS PRIOR TO ZIMBABWE INDEPENDENCE, AND I WAS LUCKY ENOUGH TO SEE KARIBA, BUT WAS DEFINITELY ADVISED NOT TO WALK OVER THE BRIDGE, IT COULD HAVE CAUSED AN INTERNATIONAL INCIDENT....NOW, WE WANT TO SEE VICTORIA FALLS. Comments for WERE TO STAY IN VIC FALLS....?? They are less than a kilometer from the entrance to the falls and are within easy walking distance, they are also close to town and curio markets etc. So you will definitely have a Vic Falls Experience. Hotels like Vic Falls Safari Lodge and Elephant Hills hotel are a bit further out of town but they do have bus shuttles going in all the time. They have a slightly different feel to them. Safari lodge overlooks a waterhole and is more of a wildlife experience. Elephant hills is perched on a hill with a panoramic view and also overlooks its own 18 hole golf course. They are all magic, a lot depends on you budget and expectations. Kingdom hotel is very reasonably priced and is great for kids with lovely big swimming pools etc. Vic Falls hotel is the grand old lady and is very colonial and probably not best suited for kids. Ilala lodge is a smaller hotel and is a bit more exclusive again not ideal for children. Yes pre-independence that would have been a problem to cross the bridge, the countries were at war with each other. Of course that is not the case nowadays and you can cross Kariba dam wall or the Vic falls bridge with ease. Let us know if we can be of any further help with information or making these booking for you.